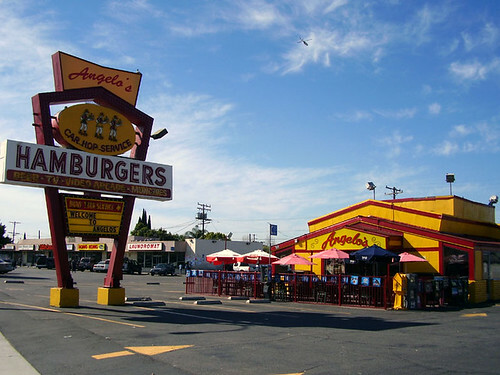 The first time I heard Be-Bop-a-Lula I was about 16 and was eating lunch with my dad at Angelo’s Hamburgers in Santa Ana, CA. I checked out the jukebox selections and saw Gene Vincent’s Be-Bop-a-Lula. I knew the title because I had seen it referenced in a thousand books and liner notes, but I was sure I had never actually heard the song. My dad encouraged me to play it. I dropped my quarter in and hit the buttons. The opening “Well…” literally made the hair on the back of my neck stand on end. I’d never heard anything like it and still haven’t. The sound of that recording is one of the great treats in rock and roll. I became an instant Gene Vincent fan from that day forward. Recorded in Nashville in 1956, the sheer genius of Be-Bop-a-Lula is not in the lyrics (which are simple, straightforward and somewhat corny). It’s the stark instrumentation, perfect slap-back echo on Gene’s haunting vocals, some well-placed screams from the band, and Cliff Gallup’s beautifully laid-back guitar riffs. The chopped chunk-chunk acoustic rhythm guitar combines perfectly with the single snare drum. Even more unique, this may be one of the few bonafide rock and roll recordings in which the drummer actually makes heavy use of brushes during most of the song. I recently listened to Be-Bop-a-Lula, which prompted this post. It just came up on my Pandora Radio station, and I stopped to give it a good listen. Sometimes I’m quick to forward past the songs I’ve heard countless times – after all, I’ve memorized every lyric and every note. But every once in a while it’s good to stop and really listen just to avoid taking for granted something as brilliant as a great rock and roll recording. Live on, Gene. Thanks, Dad and Angelo’s!